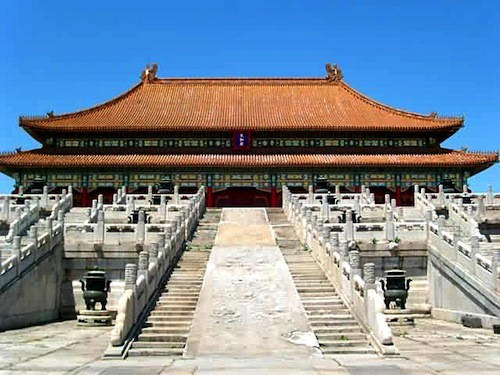 Beijing’s status as an It destination was confirmed recently when Lonely Planet named it one of the top cities to visit in 2013. But expats and savvy travelers have long known that the Chinese capital holds charm, luxury and excitement that go far beyond the tourist traps of the Forbidden City and Summer Palace. Of course those ancient relics are worth seeing if you’ve found your way to Beijing. But if you’re not careful, you’ll get caught touring and fighting throngs of locals on the subway and miss out on the sweeter side of Beijing. The Beijing International Airport (PEK) has incoming flights from all over the world, and taxis to the downtown area are readily available. There is also an airport express train that is a cheap (25RMB, 4USD), clean and convenient option. Because Beijing is so hectic, crowded and constantly moving, it’s essential to choose accommodations that will offer respite at the end of a long day of touring, shopping and dining in the city’s surprisingly burgeoning food scene. The Orchid is a beautiful, cozy and intimate boutique hotel in the colorful Gulou neighborhood. 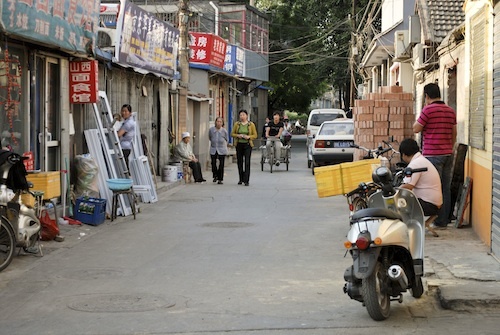 Nestled into a traditional hutong setting, local life is literally right outside the doorstep. The beauty of The Orchid is that is blends quintessential Beijing vibrance with taste and style. The rooms are quiet and elegantly furnished and the smallness of the hotel makes for an intimate atmosphere. The surrounding Gulou neighborhood is home to the historic Drum and Bell towers, plenty of shopping along trendy Nanluoguxiang, local restaurants and a nightlife scene built around small, intimate bars popular among the expat set. Those searching for an experience of contemporary Chinese history, art and culture may be interested in the Grace Hotel, located in the 798 Art District. Another boutique hotel, the rooms here are decorated with unique pieces of art and guests can enjoy long meals at the establishment’s well-regarded Yi House restaurant. 798, once a factory yard, is now home to a number of cutting edge galleries and a wealth of artistic culture. Many of the city’s most popular, interesting and high quality restaurants are found in and around the Sanlitun Village. From Mediterranean to gourmet Korean to Chinese to classic American, the dining options are broad. For a good drink, stop into Apothecary at Nali Patio, where the cocktails are a study in perfection. Only one flight up you’ll find Miga’s, a popular nightlife hotspot among locals and expats that sees large crowds and trendy DJs on the weekends. For fine dining, visit Temple Restaurant Beijing, where you’ll feast on excellent dishes in an exquisite space. The restaurant, which is housed in an old temple (hence the name) is one of the most highly-praised in the city, and boasts an award-winning wine selection. As the biggest foreigner enclave in the city, Sanlitun Village is exceptionally popular for shopping. There are a number of designer stores, including Alexaner McQueen and Armani, as well as quirkier, more offbeat brands. Though Beijing’s reputation often centers around the pollution, noise, crowds and the Great Wall, a vacation here doesn’t have to be chaotic. There are plenty of ways to indulge in what the ever-evolving and culturally maturing metropolis has to offer. Casey Hynes is a writer, editor and amateur photographer based in Beijing, China. After spending a year and a half writing features on Capitol Hill for Roll Call, a daily newspaper in Washington DC, moved to Asia to travel the world and write. She has been published in the Wall Street Journal, Asian Correspondent, Travel Wire Asia, and a number of publications in China. She has a master’s degree in journalism from Columbia University. Samples of her work and photography are available at: www.caseyhynes.com.